This is my Quick Step 700 series laminate review. 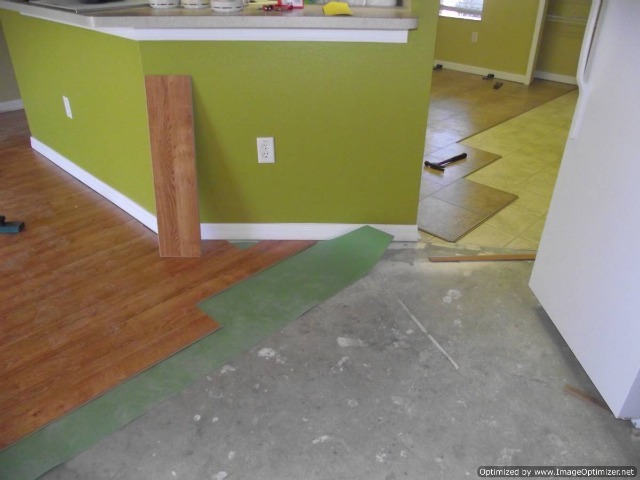 In this case we installed about 1000 square feet of Golden Oak, plus about 350 square feet of the Quick Step Quadra laminate tile in a home. I always have to mention how good the quality of Quick Step is. The boards are always very precise in all ways. In this case we used the muffler pad as the underlayment. It also has the moisture barrier built into it. 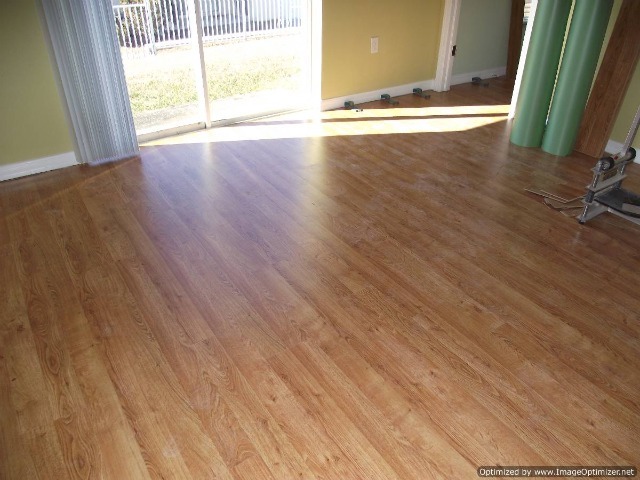 The Quick Step 700 series is a 7mm (9/32") thick laminate. The planks come in 2 or 3 strips (rows of wood per plank). The edges are a square flush fit. And measure 7 1/2 by 47 1/4 inches. Even though it is their thinnest product, the quality is just as good as the thicker more expensive products they manufacture. The Quick Step 700 series is available in six colors and carries a 20 year residential warranty. The cost of this product can be anywhere from 1.19 (on sale online, plus freight to around 2.00 a square foot. The durability is rated AC 4 which is pretty good as the AC rating system is based from 1 to 5. For the money this is a laminate that I would recommend. Quick Step, Home and Home Sound is another 7 mm laminate they produce. The Quick Step Home Sound is available with a 2 mm pad attached to the back. The locking system is very installer friendly, which is a big plus for the do it yourself consumer, all the Quick Step products use the Uniclic locking system which is very precise and easy to install. The core material is strong and hard to damage. The surface itself is tough and hard and doesn't chip easy.